Take Part In Allen’s Holly Jolly Celebration On Nov 30! 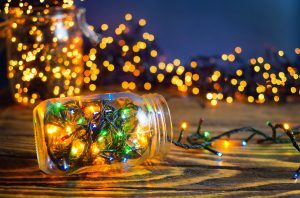 On Friday, November 30, Allen area families will have a chance to gather together for a special holiday lighting event! The annual Christmas tree lighting for the city will be taking place that night as part of the Holly Jolly Celebration. In addition to the lighting event, there will be carriage rides, toy train rides, a special vendor’s market, and more! The holidays provide plenty of opportunities to enjoy family time, but they also bring a number of not-so-healthy treats into our lives. If you want to make sure your teeth stay in good shape, pay attention to your brushing and flossing habits – while these efforts are always important, they can be especially important when your teeth are at more risk for trouble. You should also make sure to schedule regular care with your Allen, TX in the form of a routine dental exam. The Holly Jolly Celebration is taking place on Friday, November 30. It is schedule to run from 5 pm until 10 pm. This event is being held in the circle at North Allen Drive and St. Mary Drive. This event is FREE for families to come out and enjoy. There will be special activities including a carriage ride, a toy train ride, and a special Christmas tree lighting! You can also pick up gifts at the vendor’s market! At Allen Family Dental, we are proud to serve families in and around the Allen, TX area, and we also proudly welcome patients from Frisco, Plano, McKinney, Fairview, and all surrounding communities! To arrange your visit with Dr. Torrens-Parker or Dr. Lizardi, call Allen Family Dental in Allen, TX, today at (469) 342-6644.